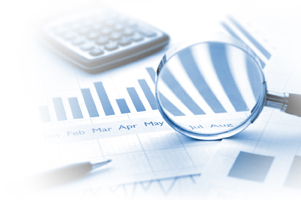 Forensic accountants are specialists that integrate accounting, auditing and investigation – all in one. The merging of all these skills under the forensic hat means that the results are suitable for the courts for discussion, debate and dispute resolution. A forensic accountant is trained to “look beyond the numbers”, and should be hired as early as possible in order to achieve ultimate results. A partnership with a forensic accountant early in the litigation process can yield significant results, and can reduce overall costs. If retained early, a forensic accountant can assist with the identification of additional areas of damages, settlement negotiations, preliminary assessment of the amount of the damages, and the information for discovery. Ideally, a forensic accountant should be retained by counsel; so that the privilege that exists between the client and counsel can be extended to the work of the forensic accountant wherever possible. Attorneys know that partnership with a forensic accountant can help in the matter at hand in terms of strategy, and the final results that will benefit clients. The forensic accountant considered should have a strong legal support background and ethical code of conduct. They require strong listening skills and must be able to communicate concisely and effectively. Meaning, they have to be able to digest a lot data, and simplify it for everyone to understand in order to save time and money. Experience is key to the forensic accountant. Time in the business, as well as exposure to law enforcement is always beneficial. Don’t be a victim of your own making. If you are involved in any investigation or dispute, please consult with your tax specialist and or counsel. And remember that according to the FBI website: “Forensic Accountants follow the Money”!